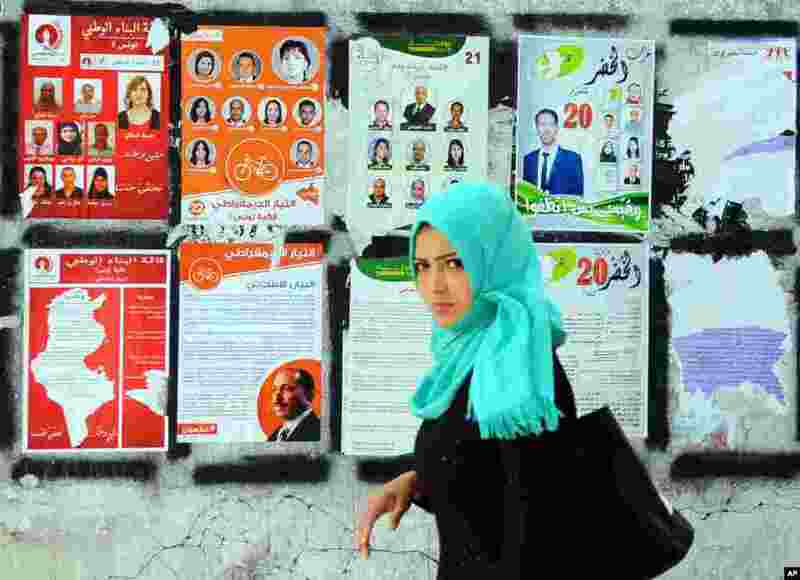 1 A woman walk past electoral campaign posters for the upcoming parliamentary elections in Tunis, Tunisia. 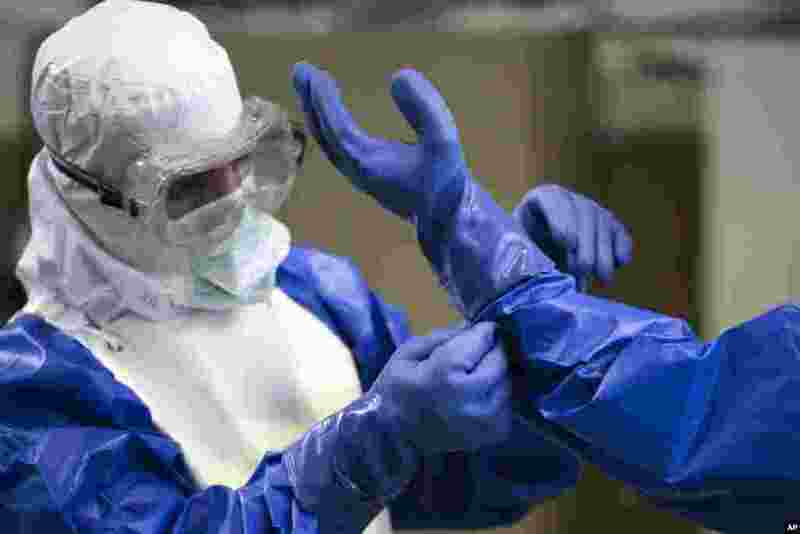 2 A volunteer of the German forces Bundeswehr helps to fix a glove of a protective suit during a training for the Ebola virus in Appen about 25 kilometers (15,5 miles) north of Hamburg, Germany. 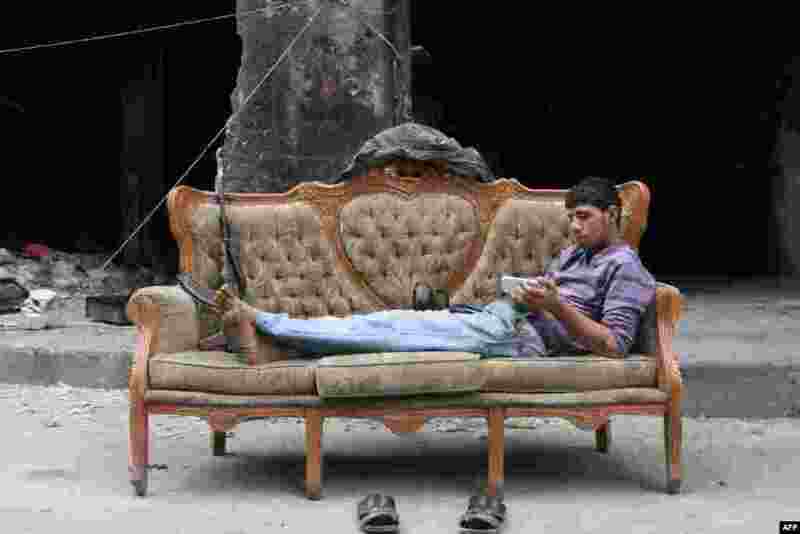 3 A rebel fighter looks at his smartphone lying on a sofa in Bustan Pasha neighborhood of Syria's northern city of Aleppo. 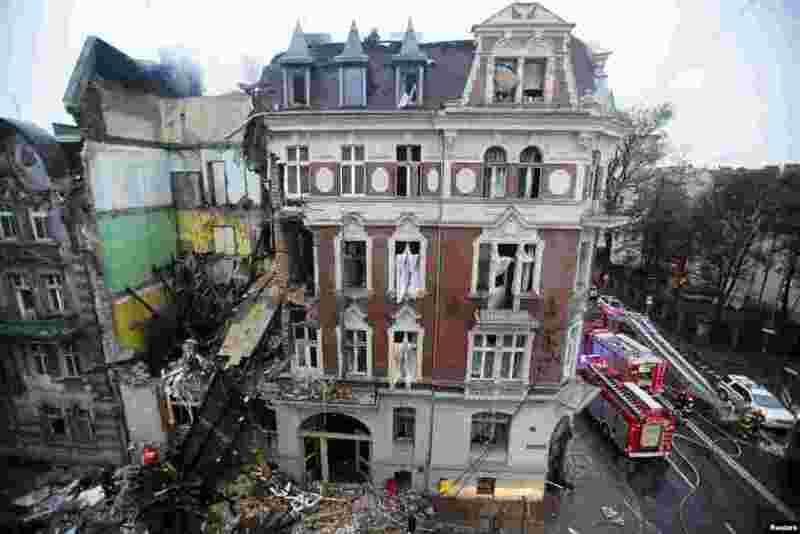 4 Fire fighters are seen at the scene of a gas explosion at an apartment building in the center of Katowice, Poland. Five people were injured after the morning gas explosion, which caused part of the building to collapse.